This is a guest blog by Chloe Hall @chloeditorial – Founder of North East lifestyle blog Prosecco and Pie and shortlisted for The Guardian’s ‘Rising Star’ Award 2014. 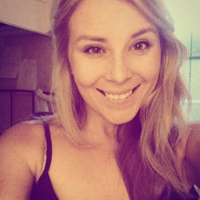 I am Chloe Hall, a happy-go-lucky, hardworking and successful 23 year-old who recently launched my own start-up as a Freelance Copywriter, PR and Marketing Assistant. I am inspired by small businesses and here to help other business owners with their copywriting and marketing needs – be that blogging, social media management or written content for websites, brochures, adverts and more. There’s something to be said when you’re the only kid in the class looking forward to their English exams…but as geeky as that is to admit, that was me. I’ve always loved writing and as I embark on the terrific (and equally terrifying) journey of self-employment, I can’t say I’ve ever been more excited to merge my two worlds of work and play. I still vividly remember the desperate ache in my wrist as I furiously wrote my umpteenth paragraph on the symbolism and imagery in Of Mice and Men during my GCSEs, and again as my pen passionately flowed across the page exploring the underlying themes of The Great Gatsby as I sat my A-Levels. It wasn’t until I caught myself sitting up until the small hours, smiling as I sat finishing an article whilst working as an Editorial Assistant for Living North magazine that I realised just how much I loved to write. After graduating from Newcastle University in 2012 with a 2:1 in English Literature, it took until earlier this year to realise just how far I’d come with my writing, but working out where to go next wasn’t quite so simple. I’d always daydreamed about owning my own business, but the fear of failing put me off from actually putting my plans into fruition. I’ve lost count of how many well-meaning but misguided comments of “What do you know, you’re only 23?” or “You need more life experience to succeed in your dream job” have left me feeling like I can’t do this, but as I’ve learnt over the past year – doubt kills more dreams than failure ever will. I began to think seriously about going self-employed as a Freelance Copywriter whilst working as an Editorial Assistant in 2013. I loved seeing my name in print, knowing that my words were being read by thousands of people around the North East and beyond, but my favourite part about my job was discovering the story behind a business, uncovering the owner’s hopes and dreams and helping to re-write their history in an aspirational, engaging way that inspired readers to support this local business. I wanted to help people, in the only way I knew how, to bring their business life whether that was online or in print. If I couldn’t be a florist/wedding planner/photographer/cupcake maker (what can I say, I’ve always been ambitious), then I could jolly well work with these people and write about their worlds as they don’t always have the time or skills to do so sufficiently. I set up a lifestyle blog (Prosecco and Pie) in my spare time with the sole aim of showcasing local businesses and promoting their products/services to people my age and older. It started out very simply; every weekend I’d try somewhere new for lunch or grab a coffee at a new nearby café whilst walking my dogs. Slowly but surely my blog posts mounted up and I began getting requests to blog for businesses, attend local events and review restaurants. What began as a hobby suddenly turned into a business without me even realising. My next steps involved writing as much as I can for as many people as I could to not only prove to the world that I can do what I do, but to myself too. The initial fear of giving up a monthly wage was quickly outweighed by breaking away from the 9-5 routine. I could go anywhere, work anywhere (as long as I had my laptop and wi-fi) and call trips to pretty market towns and food festivals research. Fast forward a year and I finally know who I am, what I want to be and exactly how I can get there. I’ve gained the confidence to pitch ideas to PR companies and marketing departments, to approach companies and ask for work, and best of all build a portfolio of clients and customer testimonials which will hopefully help me continue to do what I love for a long time to come. Just like before, my buzz comes from the comments my clients make when they read what I’ve written for them, or when they see an increase in followers thanks to my social media marketing or blog-led strategies. The only difference is nowadays it’s these little things that go a long way in reassuring me that actually, I can do this. As long as business owners want an extra pair of hands or are looking for someone with a knowledge in copywriting, social media, marketing and PR then I can continue to help people and write for a living. 1. Don’t stop learning new things – broaden your repertoire to add value to your product/service. I regularly attend workshops around the region (most of which are free!) and I can’t put into words how valuable they’ve been. From the Prince’s Trust ‘Exploring Enterprise’ events, to SEO workshops at Newcastle City Library and WordPress, Introduction to Marketing and PR workshops from PNE Group and The Business Factory, I’ve been to them all and taken something valuable away every time! Whether you spend an hour every week as a volunteer business mentor, upload podcasts to youtube sharing tips/tricks in your industry (this can be anything from how to ice a cake, use wordpress or upcycle) or utilising local bloggers to help promote your events – it can cost nothing to help others and help you earn yourself an enviable reputation. When I’m feeling uninspired I spend an hour or two reading magazines (not the celebrity-gossip kind I’m afraid, but inspirational lifestyle magazines like Country Living and The Simple Things), industry-related websites like BDaily and some of my favourite blogs to kickstart my motivation. I always end up tearing pages out that I like, or pinning articles that help spark ideas for my own work. Rather than being frugal and saying no to every invite or night out with my family/friends, I make my own luck – my blog is an excellent outlet for me to do fun things without spending a lot of money. 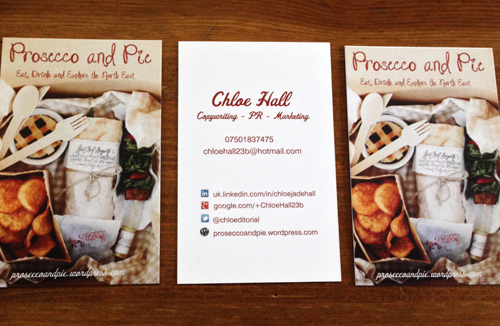 If you want help re-writing your website content, implementing a social media strategy or an extra pair of hands with the PR and marketing side of your business, email me at chloehall23b@hotmail.com, give me a call on 07501837475 or Tweet me @chloeditorial and I’d be happy to hear more.